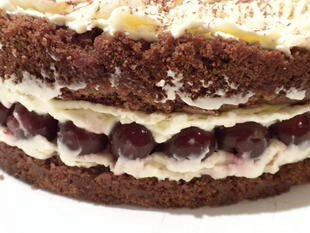 Black Forest gateau is a sophisticated dessert which comes from Germany. It is essentially a combination of four flavours: chocolate, cherries, cream and kirsch. Here is my own version.